Moisture, shine and colour with tinted balms from Maybelline, Sephora and Covergirl! Maybelline Baby Lips Electro Lip Balm - $4.99 in 6 shades: Berry Balm, Pink Shock, Minty Sheer, Fierce N Tangy, Strike A Rose and Oh! Orange - that offer eight hours of moisture thanks to a unique blend of powerfully moisturizing ingredients including aloe, honey, Vitamin E, a high concentration of shea butter and Centella Asiatica botanical extract to leave lips feeling and looking smooth and subtle. 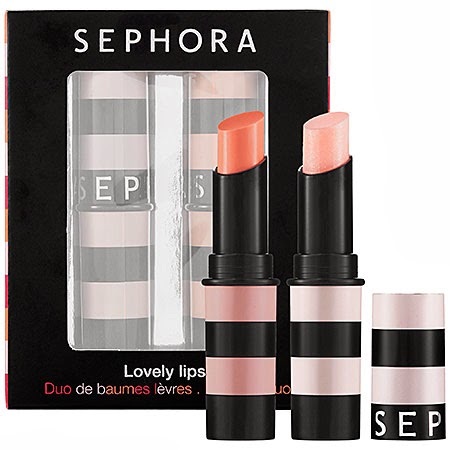 Sephora Lovely Lips Lip Balm Duo - $15 - includes two nourishing tinted balms in Salmon Pink and Light Pink enriched with shea butter to protect and moisturize lips. 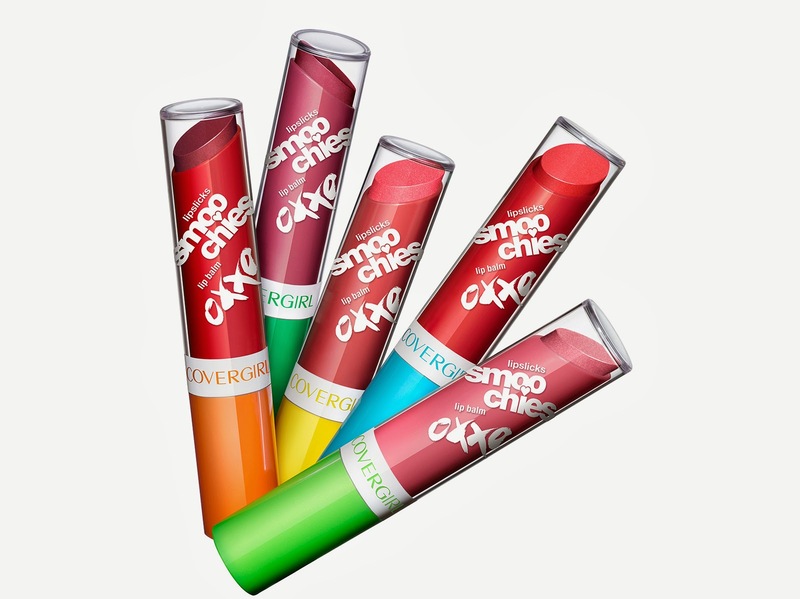 Covergirl Smoochies Lip Balm - $6.49 - in 12 shades: CU L8R, Luv U, Text Me, Tweet Me, Tru Luv, Luv Bug, 2 Cute, Sweet Tweet, Be Sweet, Smooch, Only U and B4N - adds a hint of beautiful shine and colour while it hydrates lips with cocoa, mango, aloe and shea butter for soft, non-sticky moisture for a soft, luxurious feel. I like the look of the Electro Baby Lips more than the regular. I wish to try them and the new Cover Girl lip balms.